« George and Leah’s Wedding, Upwaltham Barns. Southend Barns opened in the summer of 2012. 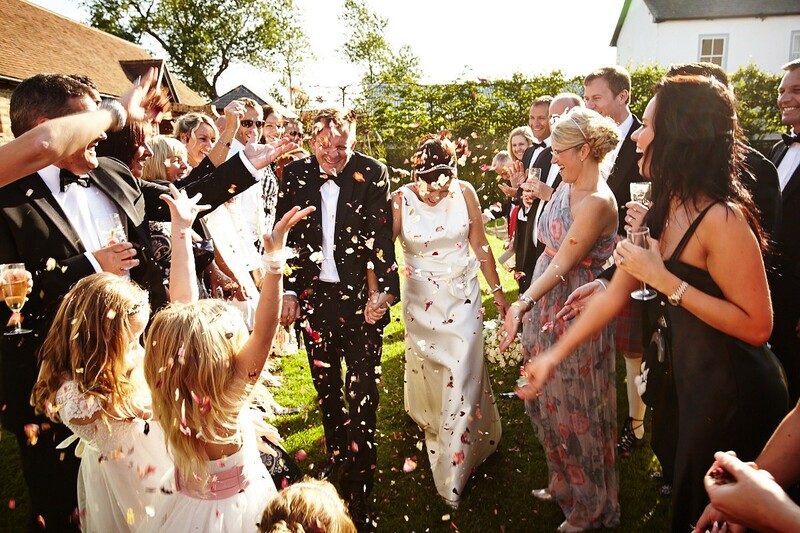 Since then it has firmly established itself at the very top rung of wedding venues in Chichester. It is located in Donnington, a village to the just to south of the city. This is a 10 minute drive or taxi ride from central Chichester. It is an ideal location if you will have a lot of guests staying in hotels in the area. The venue itself consists of three main areas. The Dairy Barn, which is the ceremony room with a capacity of 150. The Threshing Barn, which accommodates 150 for seated dining, and 200 for the evening reception. And finally the Milking Parlour which is a luxurious bridal suite. These buildings surround a large well tended lawn as well as a covered outside area named the Collecting Yard. The covered outside area is a great addition to a barn venue and unique in the Chichester area as far as I know. It is big enough to shoot small to medium sized group photos under. 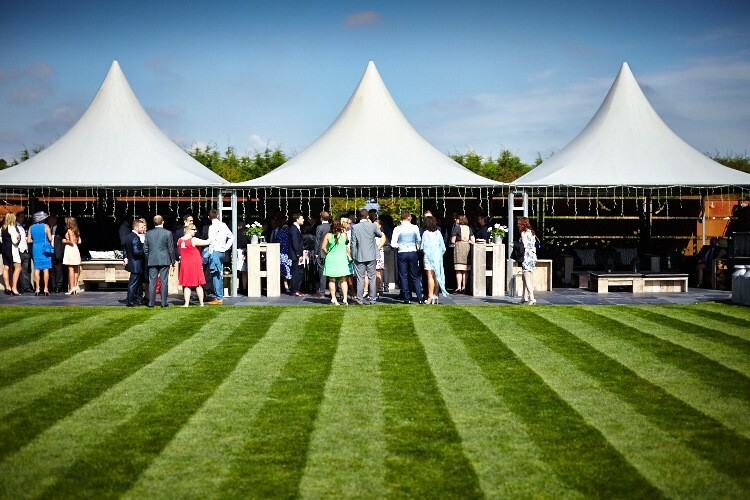 This makes the venue a lot more weather proof (not that it ever rains in Sussex!) and the area is heated by a lovely wood burning fire on winter days or chilly evenings. The standard of decor throughout the venue is beautiful and well thought out. White walls and pale wood make the Dairy Barn feel light, airy and modern without losing any of its period charm. Exposed woodwork and high ceilings make the Threshing Barn an impressive sight for all your guests. The Collecting Yard has a really excellent level of furnishing for an outdoor area, and you could happily sit out there for hours. Southend Barns’ Collecting Yard and Gardens has a large sheltered area. Excellent back up if the weather is not ideal. Southend Barns attention to detail is second to none. From a wedding photographer’s point of view it is a very straightforward venue to work at, the decor has been well thought out and the attention to detail is excellent. I don’t think there is a single part of the venue that doesn’t make a nice backdrop to photos. Everything is close together so guests are always on hand for group photos. The gardens are divided up so you can photograph the bride and groom without all the guests looking on. This makes the couple far more relaxed, and really helps the photos. Just one of the many little corners that are great for photographing couples. 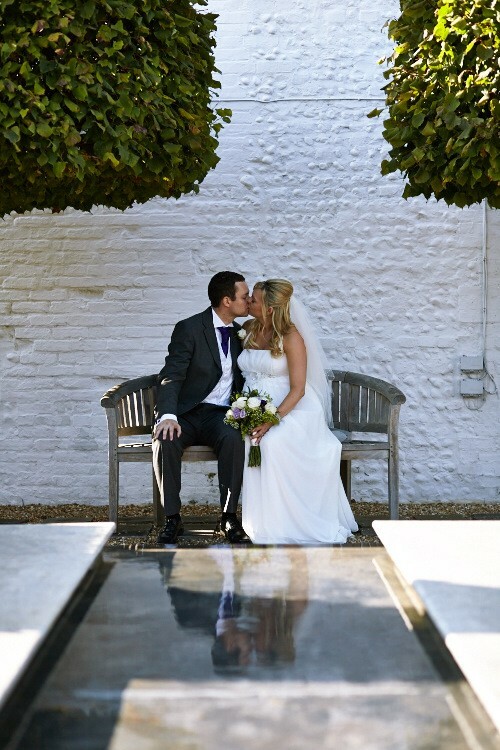 If you look on my Featured Weddings Page you can see James and Amanda’s wedding at Southend Barns in its entirety. 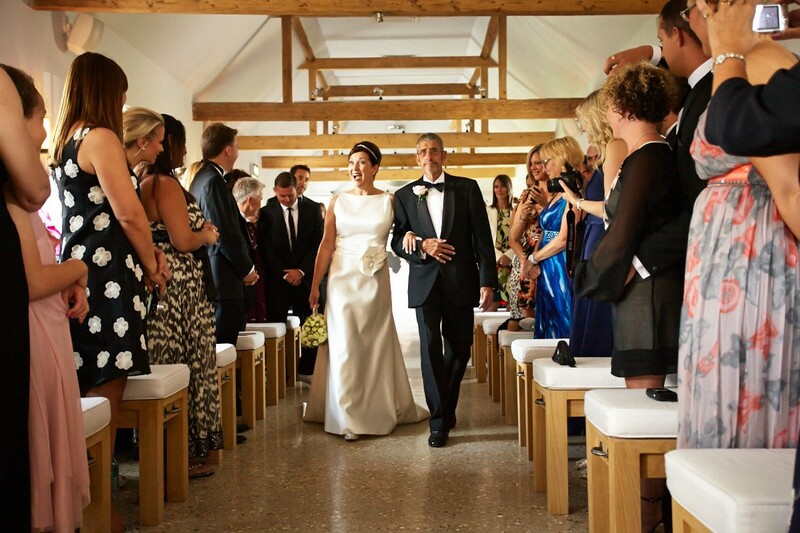 The Dairy Barn is bright airy and modern, The ideal venue for your ceremony. This entry was posted in Blog, Brighton wedding photographer, Chichester photographer, Chichester wedding photographer.